This Playmobil Horse Stable with Arabian set comes complete with a rider, black horse, saddle and reins. It also includes a stall with horse food, straw and cleaning equipment to make sure it is kept tidy. 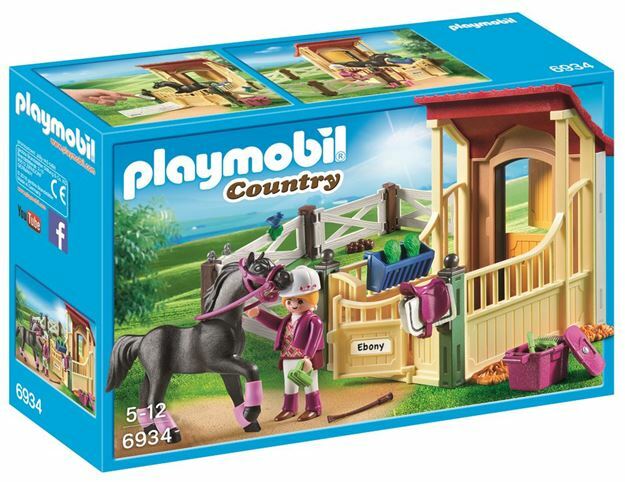 Part of the Country and Pony range. Age 4+ years. Distributed in New Zealand by Holdson.